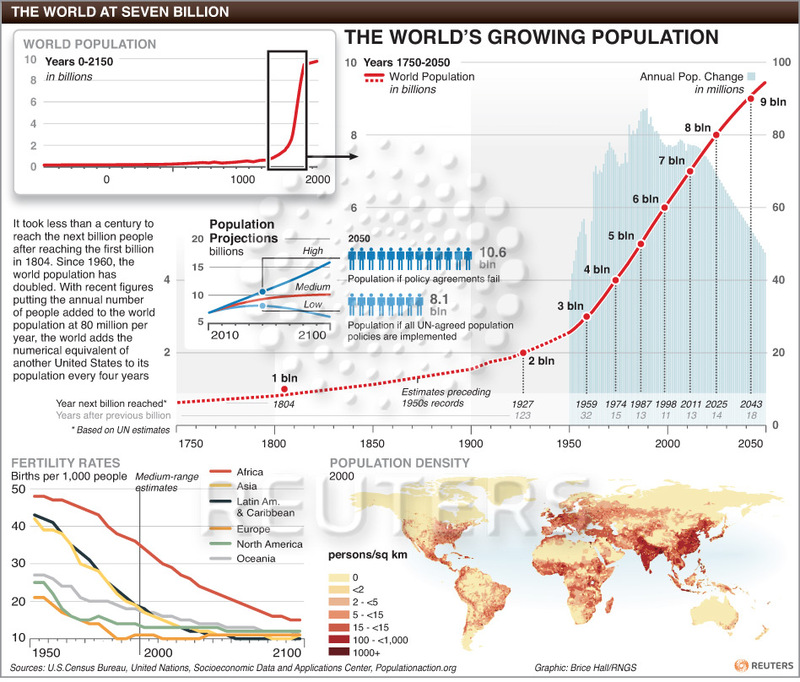 World population is rising by about 80 million people per year, and is projected to grow from 7.0 billion people to 9.2 billion by 2050–over three times the population of 50 years ago. However, if birth rates remain unchanged, the UN estimates that world population will be 11.9 billion by 2050 (1). If all UN agreed population policies are able to be implemented, global population could be lower at 8.1 billion in 2050. New Zealand’s population is increasing by about 50 thousand people per year. Statistics New Zealand projects New Zealand’s population to grow from 4.4 million to 5.6 million in 2051 (2). However this is the mid-range of projections. If New Zealand were to maintain or increase it’s current growth rate- as a number of interest groups advocate – New Zealand would have a population of 6.7 million or more in 2051.